World War II will never cease to be relevant, and sadly, with everything that’s been going on in the world in recent years it’s scarily easy to draw parallels between then and now. But, of course, that’s no reason to shy away from it. If anything, it means the opposite. It’s an important topic, but it’s just as important to deliver lessons sensitively and age-appropriately to your class. With Victory in Europe Day taking place on 8 May, and D-Day on 6 June, these are great opportunities to not only understand the past (and, in turn, the present) but to see the hope and goodness that can eventually emerge from such dark times. So, we’ve picked out a selection of resources to help your pupils do just that. The D-Day landings were a key factor in the outcome of the war, splitting the German forces that were mostly in conflict with the Russians in Eastern Europe. For an introductory overview this piece from Imperial War Museums is a great place to start. 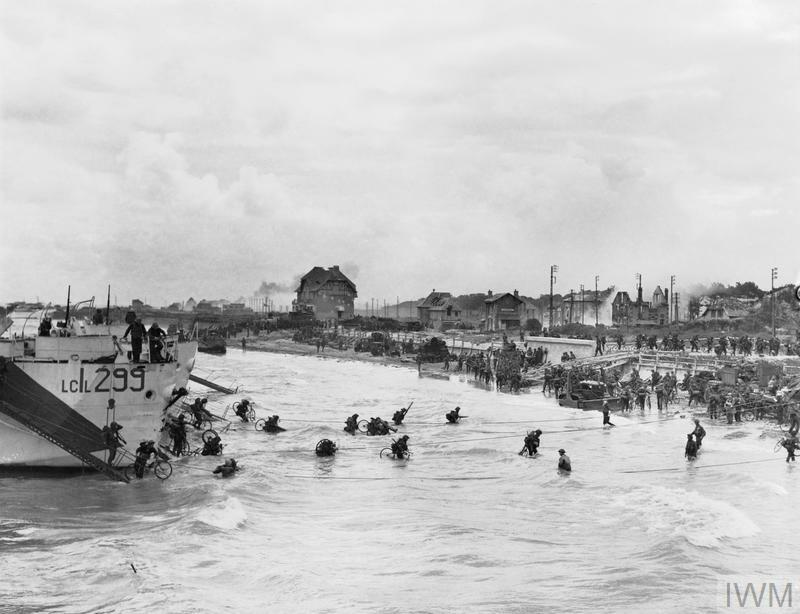 But if you want to delve deeper into this topic, The British Legion has an excellent facts and figures PDF on D-Day that can be easily adapted to suit your lessons, as well as veteran’s stories and more. You can also rely on the British Legion for Victory in Europe Day too. There’s an information for schools PDF and more on its VE Day page. The BBC’s archived Learning Zone page on the end of the war has loads of ideas and activities too. And if you still need more, head to the Guardian’s How to Teach…VE Day page for a whole bunch of resource links. This differentiated card sort exercise lets students identify and connect the steps that led from the armistice to the start of the Second World War. Bev Forrest recently wrote a great article for us in Teach Primary on why it’s essential we educate primary children about the Holocaust, which discusses how much young children need to know to create a better foundation of learning for studying the topic further in secondary school. Click here to read the article, where you’ll also find Bev’s selection of recommended resources at the end. And check out the wealth of classroom materials at the Centre for Holocaust Education. What did the British find when they entered Belsen concentration camp? Belsen (full name Bergen-Belsen) was set up in 1943. It was never used as a death-camp, but was still a place of unbelievable horrors and brutality. Towards the end of the war, thousands of Jews had been evacuated from camps in eastern Europe and marched west to avoid the advancing Soviet army. There were 40,000 prisoners at Belsen in April 1945, many dying each day, as well as thousands who had recently died and had not been buried. Created for Holocaust Memorial Day in January each year, these resources can still be used at any time to learn about the atrocities committed in WWII. The Holocaust Memorial Trust has an assembly, lesson plan on discrimination and tutor-time activities that are all free to download. The Diary of a Young Girl by Anne Frank has long been the go-to text for educating young people about what life was like for those living in hiding from the Nazi regime. Anne Frank Trust UK and Amnesty International produced a set of resources to go with this famous account, called Writing in Impossible Circumstances. If you want to take things further, this webpage from Imperial War Museums, called ‘The Way We Lived: Exploring Jewish Life and Culture’, has a number of helpful videos. There’s a powerpoint, lesson plan, resource sheets, teacher’s notes and curriculum links, all of which you can find here. This set of WWII posters from the Imperial War Museum come with a PowerPoint presentation full of discussion points and suggested activities. They’re perfect for a lesson on persuasive language and imagery, as well as being a great insight into what it was like in Britain during wartime. This KS3 resource features a varied collection of activities to accommodate different learning styles, centred around the experience of the Blitz, how London was affected and how historians have interpreted it. Download this free PDF here. If you’re looking for a book to introduce WWII to your class we’ve picked out and reviewed eight of them for you to consider.